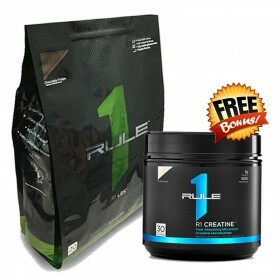 R1 LBS by Rule 1 Proteins is a high-calorie extreme mass gainer featuring a 5:1 carbohydrate to protein ratio for you extreme hard gainers out there. Have you tried other high calorie gainers and still can’t gain? Are you looking for a high calorie gainer with quality calories? 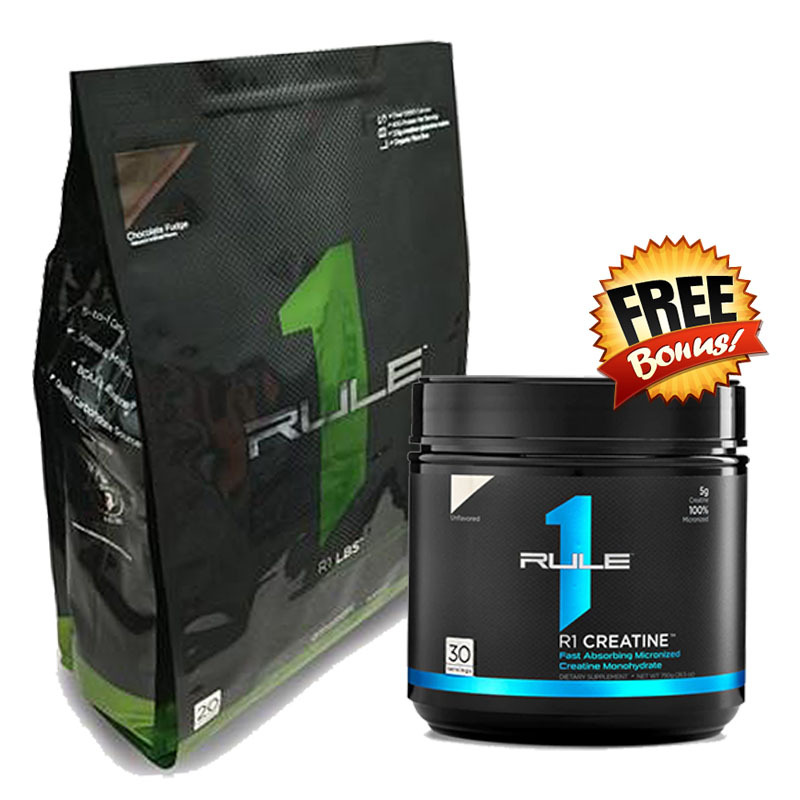 Rule One Proteins R1 LBS is low sugar, low fat, low glycemic carbs gainer with 40 grams of whey protein per serving and a potent creatine/glutamine mix – you’re not going to gain “bulk” with R1 LBS, you’re going to gain muscle! Rule 1 Proteins believe the number one rule in bodybuilding is Input = Output - what you put into it is what you will get out of it and that couldn’t be any more true when it comes to your nutrition and supplementation. Don’t choose a high sugar high fat weight gainer! If you’re looking for a high calorie weight gainer designed to put on muscle instead of bulk (translation – fat) – you want Rule One Proteins R1 LBS! • One serving is only two scoops! • 1010 Calories per serving. 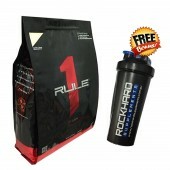 • 40 Grams of Whey Protein Concentrate, Whey Protein Isolate and Whey Protein Hydrolysate per serving. • 8 Grams BCAAs per serving plus added Creatine and Glutamine to stimulate muscle development and speed recovery. • 200 low glycemic, calorie dense carbohydrates to fuel your toughest workouts. What does it taste like you might ask? After all, you’re going to be drinking a lot of these; you want it to taste good, right? R1 LBS tastes amazing – mix it up with milk and some ice for a thick, rich malt-shop milkshake! 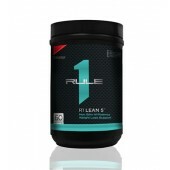 R1 LBS by Rule 1 Proteins – What You Put Into It Is What You Get Out Of It!